Do smartphones pose a health risk? Are you or your children at risk from over exposure to WiFi? Should we be concerned? Are there precautions we can take? Click the links below to find out what the experts have to say! 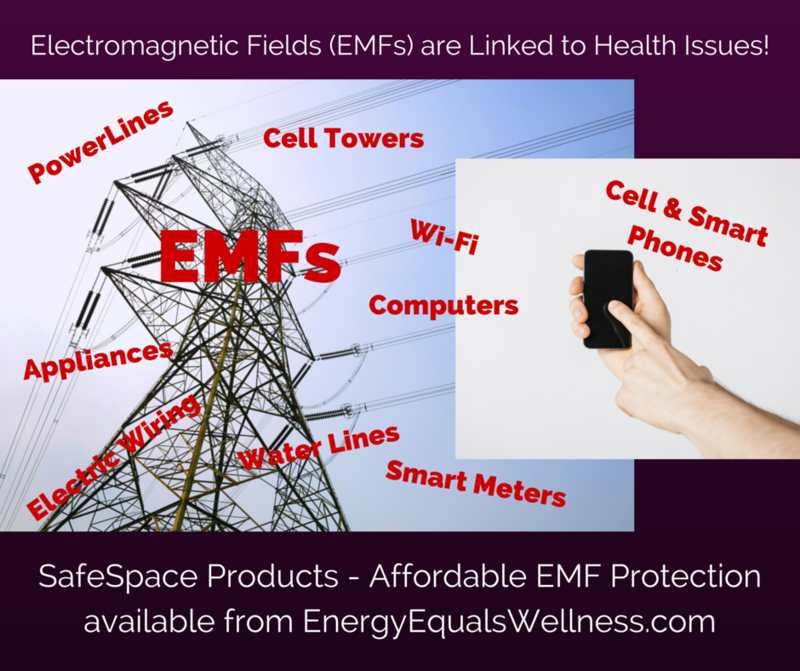 > 190 scientists from 39 nations submitted an appeal to the United Nations, UN member states and the World Health Organization (WHO) requesting they adopt more protective exposure guidelines for electromagnetic fields (EMF) and wireless technology in the face of increasing evidence of risk. > Scientist warns of wireless threat from smart meters, cellphones: A renowned Canadian scientist and expert in molecular oncology says hundreds of millions of residents around the world are being “blanketed in an electromagnetic smog” caused by wireless devices such as smart meters and the potential health care consequences will be staggering. > See what is surrounding you! The architecture of radio app is a realtime, location based visualization of cell towers, wifi routers, communication, navigation and observation satellites and their signals. View the letter and related information here. 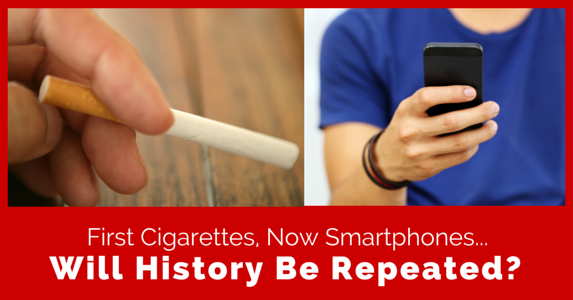 So what’s the connection between cigarettes and smartphones? Smart Patch by SafeSpace – Proven technology that protects from the effects of EMF radiation generated by electronic and wireless devices. 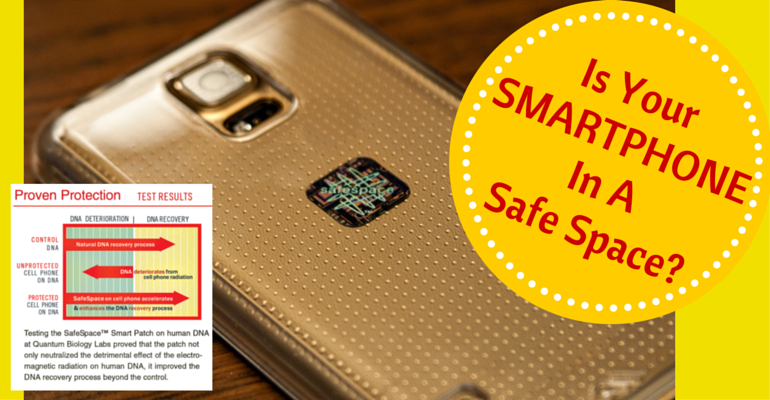 The SafeSpace Smart Patch successfully neutralizes the toxic effect of harmful EMFs and converts them to harmonious waves that support health and well-being. Apply a single Smart Patch to your cell phone, smart phone, tablet, laptop, notebook, headsets, Bluetooth technologies, cordless landline phones, and routers. The 5/8 inch square, self-adhesive patch is razor thin for easy application anywhere on your device. The package of two comes complete with instructions and suggestions for additional uses. Dr. George Carlo – The Medical Term for WiFi in Schools! An all-in-one solution for clearing and protecting an entire home or office space from the harmful effects of EMF radiation. The EMF Adapter works through a building’s electrical circuitry to send a corrective, harmonizing resonance signal throughout the wiring of the entire space. Just plug in one EMF Adapter to protect your entire home or office space! Electrical wiring radiates toxic EMFs through the walls into every room. Appliances and electronics plugged into the electrical circuit also emit these toxic fields.